It's that time again, and you know what that means. 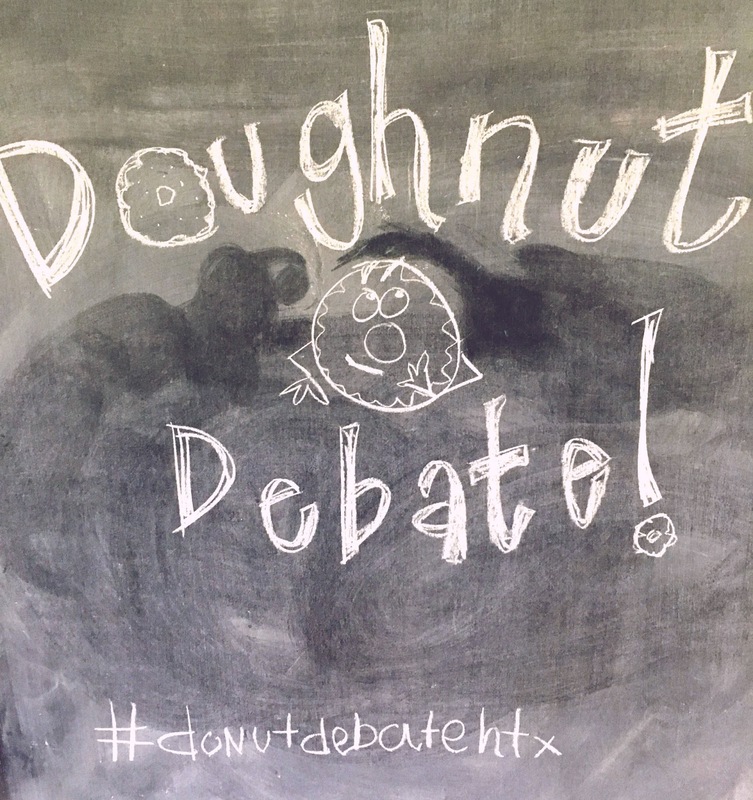 Welcome to The Great Doughnut Debate!!!!!!!!!!!!!!!! 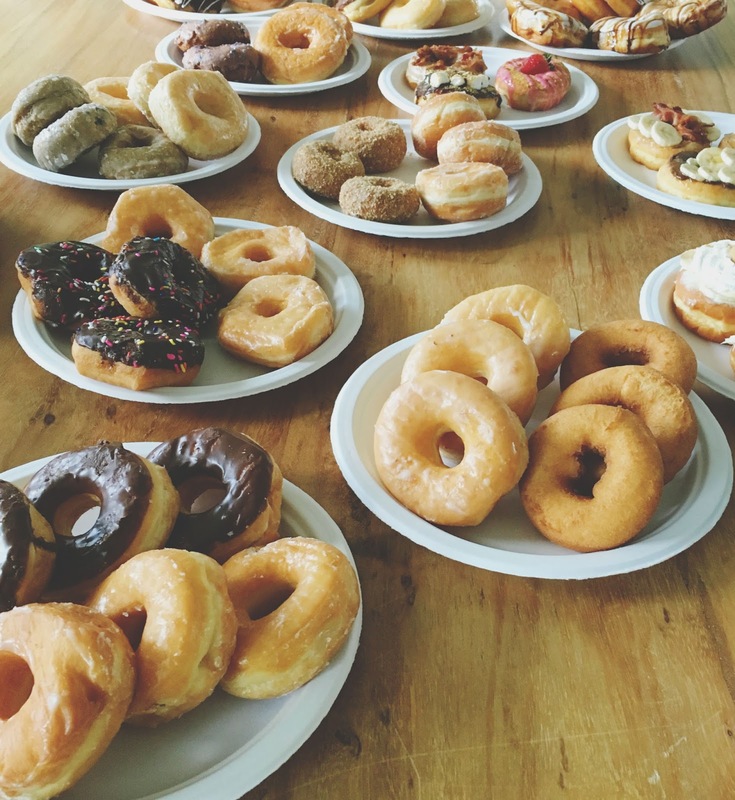 Last weekend, my friend Erika (read her way more eloquent review of the event here) organized a blind tasting of Houston's finest doughnuts. The local food bloggers and social media all-stars sampling from the selected bakeries were Judy, Emily (my sister, who was in town from Fort Worth), Isabel, Renee, Lisa, Julie, Morgan, Jenna (her witty and insightful write-up can be viewed here), Erin, and me. This group of awesome women has gotten together before to determine the best chocolate chip cookie in Houston, as well as the best holiday cookie in Houston. 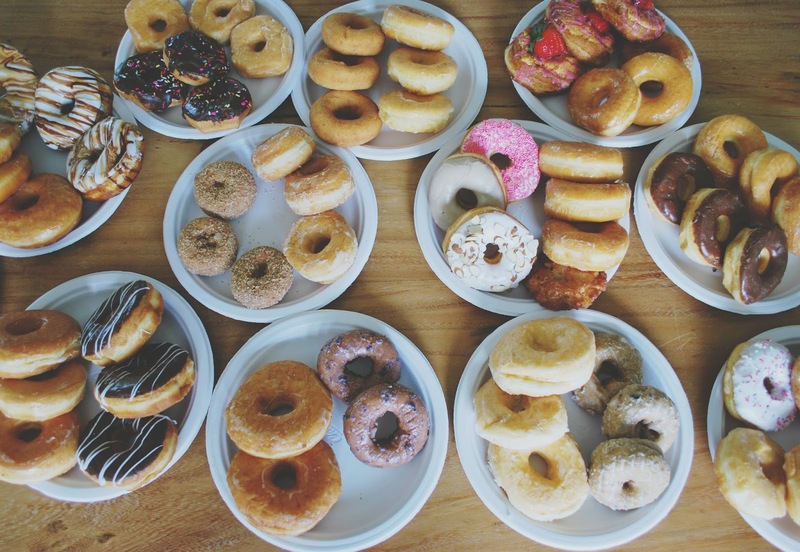 So we're basically experts at shoving large quantities of food down our throats and making major life decisions like "which doughnut is best." Needless to say, we had an important and difficult task ahead of us. With our score cards and stretchy pants ready, we set to work! (Also Judy and Erika made some amazing "palate cleansing" appetizers which were equal parts incredible and life-saving). 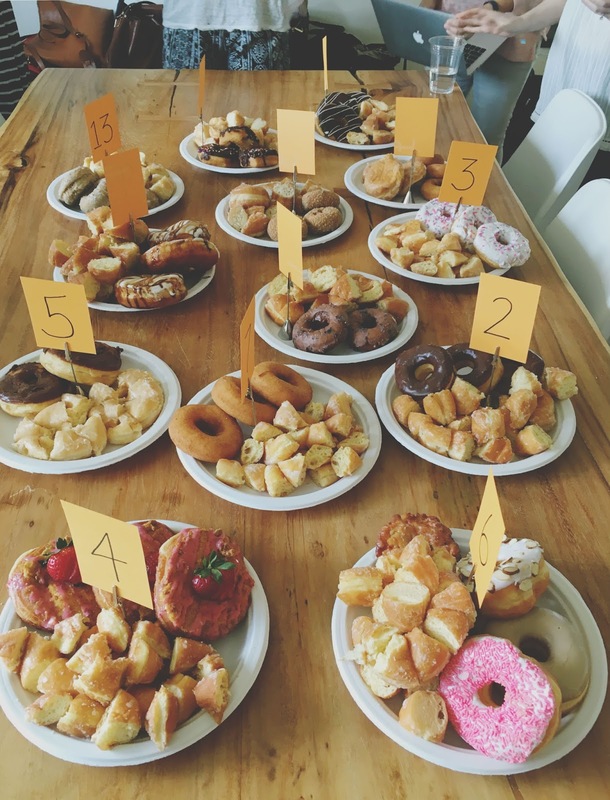 Doughnuts from each of the bakeries were given scores based on flavor and texture which were judged on a ten point scale, as well as appearance which was judged on a five point scale. 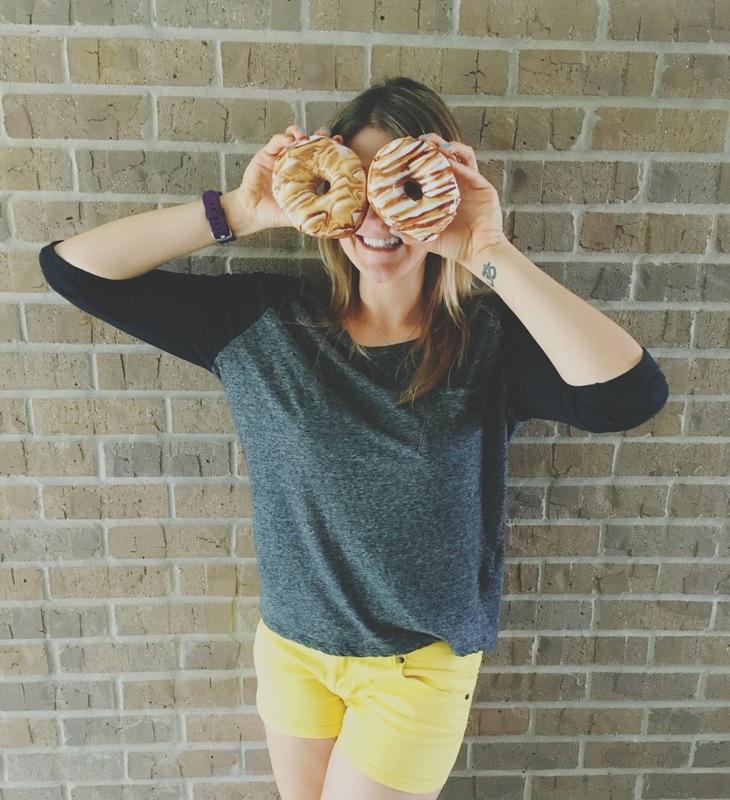 I was in agreement with the rest, and I ranked Christy's as my #1 because it had the perfect texture (not too cake-y, not too dense), just the right amount of sweetness, and a flaky, lovely glaze. My #2 was a tie between The Grove Do-Nutz for having a fantastic texture, and Glazed for having nice, subtle flavors and a beautiful glaze. 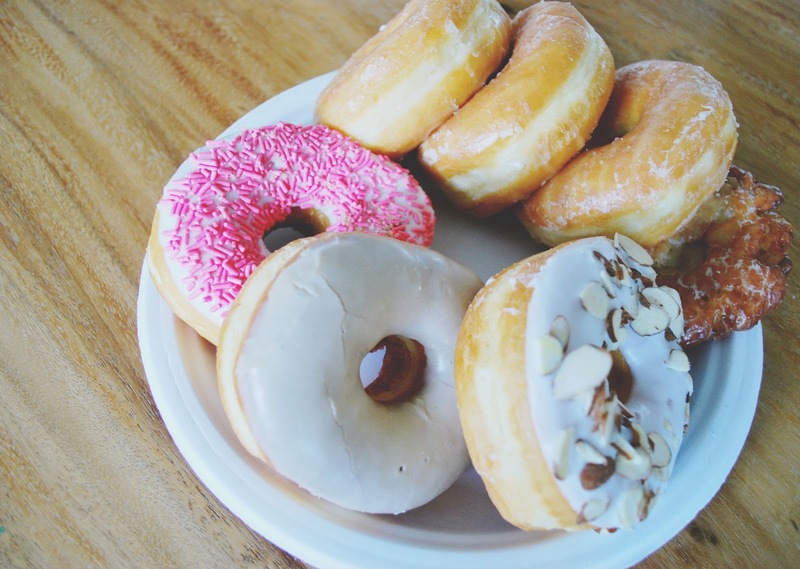 And my third place choice was Fresh & Best Donuts for having a good, standard glazed doughnut. 3) TIE! 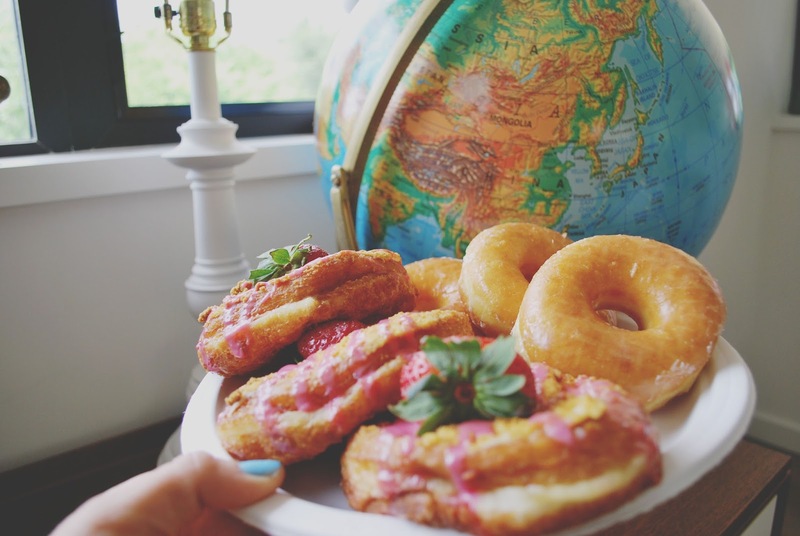 Glazed (caramel/chocolate glazed) and Hugs & Donuts (blueberry cake with lemon glaze). My top choice in this round went to the blueberry cake with lemon glaze doughnut from Hugs & Donuts. It had the perfect amount of blueberry flavor, and a wonderful, drippy, tart lemon glaze. I am admittedly not a doughnut person, but this one was FABULOUS. My #2 went to Fresh & Best Donuts' apple fritter, which contained fresh apples, and was wonderfully cinnamon-y. For third place, I chose Le Donut's blueberry cake doughnut (I guess I was in a blueberry mood that day? ), which also had fantastic blueberry flavors, and an awesome glaze. Whew! I survived! You survived! We survived! Shall we celebrate with another....? 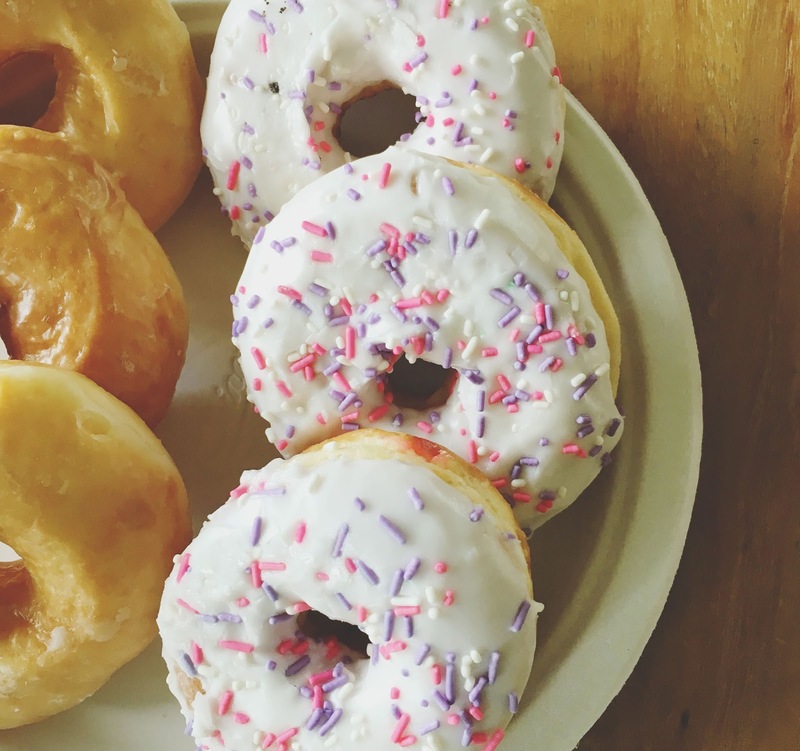 For the sake of research - and as Julie says, "in the name of science" - I hope that our day of face-stuffing might help you in your future doughnut life decisions. 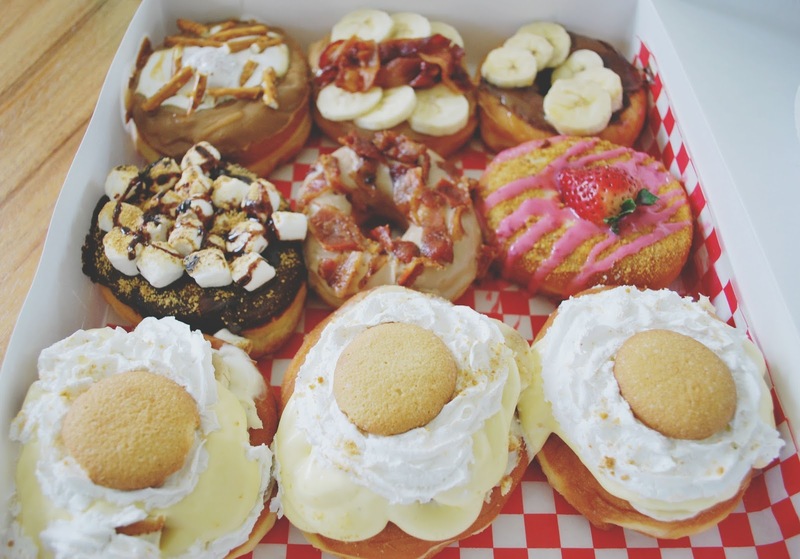 But really, you can't go wrong with any of the Houston bakeries we sampled from that day. Each one has something different to bring to the table, and they are all definitely worth a visit! (for a sampling of 500 different varieties). Can we eat some salad now, pretty please?